Bournemouth Hockey Club is delighted to have club members playing at both National and International levels. Meet our male superstars …. 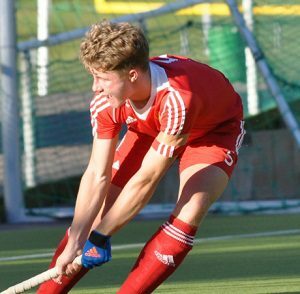 During the 2016/17 hockey season Nick was selected from HiPac for the England U16 National Hockey Squad. It was a big challenge and a lot of hard work but he learned loads! He has also just won the Futures Cup, as part of the Wessex Leopards team, for the U15 category. 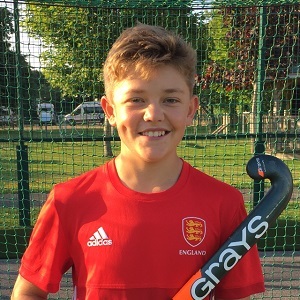 Nick would like to thank BHC and the UK Lions for these great experiences enabling him to achieve his goals, and also to Grays Hockey for their support. 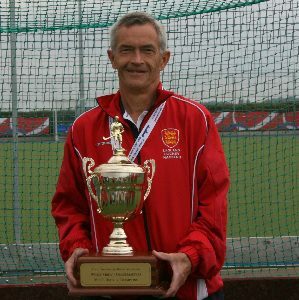 Brian has an impressive trophy cabinet with winning appearances in Masters hockey tournaments since 2002. 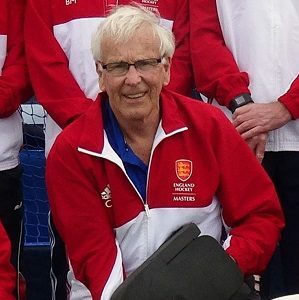 He is in his second year of captaining the England Over 70s, and was previously captain of England U65s from 2011 through to 2013. With the Over 50s in 2002 he won the International Masters in Hong Kong, followed by the International Masters in Birmingham in 2007. In the Over 60s category, he progressed to winning the 2008 Grand Masters World Cup in Hong Kong, and then the Singapore International Masters in 2011. And by the time he was in the Over 65s team, the Great Grand Masters World Cup was his trophy of choice, winning it not once, but twice! – 2010 in Cape Town and 2012 in Oxford. Colin played his first ever game of hockey during September 1971 aged 24. On the 18th March 2007 36 years later at the age of 60 he was selected for England, the first of his 63 caps. Over the past 10 years he has represented England in Europe, Hong Kong and Australia plus home Internationals. He has played in four World Cups, winning 2 gold, 1 silver and 1 bronze medal and four European Cups, taking home 3 gold & 1 silver medal. During 2008 and 2009, Colin was part of the first England team to hold both World and European titles at the same time (2008 World cup winner and 2009 European cup winner). Sandy recently played for Scotland Over 65s in the Celtic Cup in Lille on 20-22 April 2018. Games played were against Ireland, Wales & France and was the first time he had played for Scotland at any level. He will be heading to Dublin for the Home Internationals on the 11-13 May 2018. We are also proud to recognise players who are currently representing other clubs but who have spent time representing Bournemouth Hockey Club in the past. Tim has 17 caps for England U18s having played against Holland, Wales, Germany and Belgium in test matches during 2017 culminating in the 6 Nations in July 2017. In 2016 he captained the Wessex Leopards U18s in the Futures Cup. 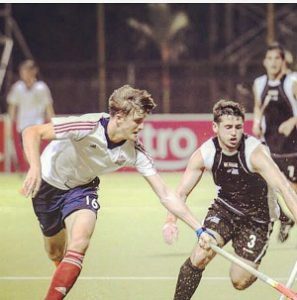 Last season (2016/17) he played for Isca HC in the England Hockey West Conference League and was awarded Junior Player of the Year. 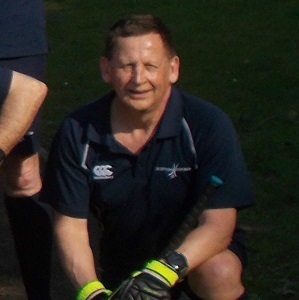 He was a 6th form student at Queens College Taunton whose 1st XI hockey team got to England Hockey National finals. 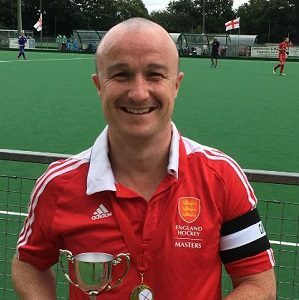 Tim began playing hockey in the U8s at Bournemouth HC through to U16s where he contributed to getting his U12 and U16 teams to England Hockey’s National finals. 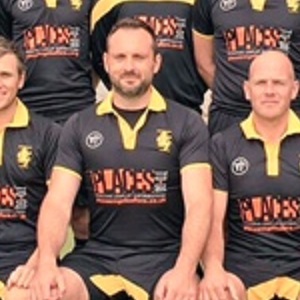 Tim thanks West Panthers and UK Lions for giving him his first experience of international hockey and is kindly supported by Hampshire Talented Athletes Scheme ‘Energise Me’ and Specialist Sports. Ben left Bournemouth HC in 2012, and has been playing for Reading HC in the Premier League since 2013. He’s represented both England & GB U21 + U23 men’s squads and won Bronze at Euro 2014 with the English U21 squad in Belgium. Currently in the GB Development squad, he hopes to break into the full centralised squad within the next 12/18 months.